Create your own payment solution. Develop a payment processing solution as unique as your business. You get everything you need without the extra fees *. In addition to getting a merchant account and gateway in one, our direct payment APIs let you create your own online checkout experience. You control everything that your customer sees, from layout and brand colors to language and page sequence Its also pre-integrated with top e-commerce platforms. Our team of payment experts is on hand to help your developers build the ideal payment system for your business. 1 You can apply for the PayPal Business Debit MasterCard® Business Card after your PayPal account has been in good standing for 60 days. 2 Requires enrollment. Cash back applies to signed transactions only. Turn your computer into a credit card terminal. 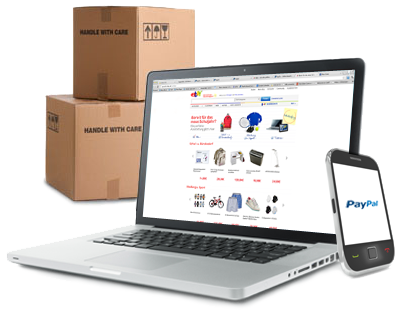 With Virtual Terminal, simply log in to your PayPal account and process phone, fax and mail orders instantly online. It works at your office, at a trade show or anywhere you have Internet access. All major credit cards are accepted, and the money hits your account in minutes. Email your invoices for faster payment. Use your computer, smartphone or tablet to email professional looking invoices to your customers. Add your logo to our template and save any invoice to use again. Your customers don't need a PayPal account to pay you-they simply click to pay online and the money normally arrives in your PayPal account in minutes. It's free to send an invoice with PayPal. You just pay a small percentage of the invoice amount when it gets paid. 4 To help simplify PCI compliance, the Transparent Redirect feature must be enabled. Check with your solution provider to determine if they support this feature.